By U.S. regulation, a bottle labeled as “bourbon” must contain contents that were made in the United States according to certain procedures. And by order of the Sixth Circuit, a bottle topped with a red, dripping-wax seal, must be made by Maker’s Mark. See Maker’s Mark v. Diageo N. Am., No. 10-5508 (6th Cir. May 9, 2012). Jose Cuervo started producing its “Reserva de la Familia” premium tequila in 1995 and initially topped its bottles with a straight-edged wax seal. By 2001, however, bottles sold in the United States were adorned with a red, dripping-wax seal. Maker’s Mark brought suit in 2003, seeking to enjoin Cuervo’s use of this registered mark and also seeking an award of damages. Cuervo counterclaimed for cancellation of the trademark. 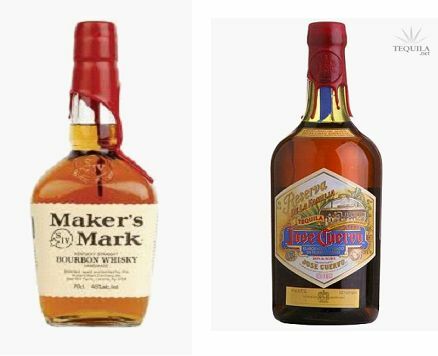 After a six-day bench trial in—where else?—Kentucky, a district court found that Maker’s Mark’s wax seal is a valid trademark and that Cuervo had infringed it. The court enjoined Cuervo permanently “from using red dripping wax on the cap of a bottle in the sale, offering for sale, distribution or advertising of Cuervo tequila products at any locality within the United States.” The court denied Maker’s Mark’s claim for dilution and request for damages, as well as Cuervo’s counterclaim for cancellation. The judgment was affirmed by the Sixth Circuit on May 9, 2012. Having held that the dripping-wax trademark is not subject to cancellation on grounds of functionality, the court applied the Sixth Circuit’s Frisch factors and held that the balance of those factors compels a finding of infringement. The court relied heavily on the district court’s finding that the Maker’s Mark’s trademark is “extremely strong,” and it reached its conclusion despite finding that the “likely degree of purchaser care” factor “clearly” favors Cuervo. Thus, the case serves as a useful reminder that a party need not claim total victory in order to be a “prevailing party” entitled to costs under Rule 54, as well as an interesting read for anyone interested in the aesthetic-functionality doctrine—or curious about such things as the brand of General Grant’s favorite whiskey. Jeffrey A. Wakolbinger is an attorney with Pattishall, McAuliffe, Newbury, Hilliard & Geraldson LLP, a leading intellectual property law firm based in Chicago, Illinois. Pattishall McAuliffe represents both plaintiffs and defendants in trademark, copyright, and unfair competition trials and appeals, and advises its clients on a broad range of domestic and international intellectual property matters, including brand protection, Internet, and e-commerce issues. Jeff’s practice focuses on trademark and copyright litigation, as well as domestic and international trademark, Internet, e-commerce, and copyright law.